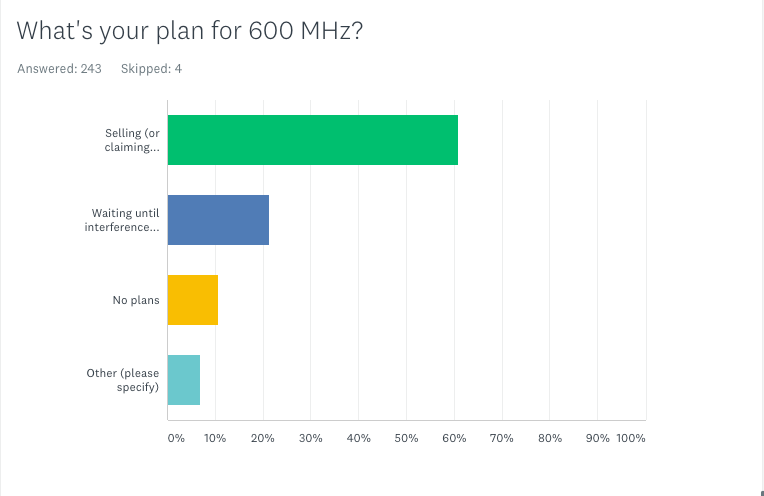 Survey results: what's your plan for 600 MHz? 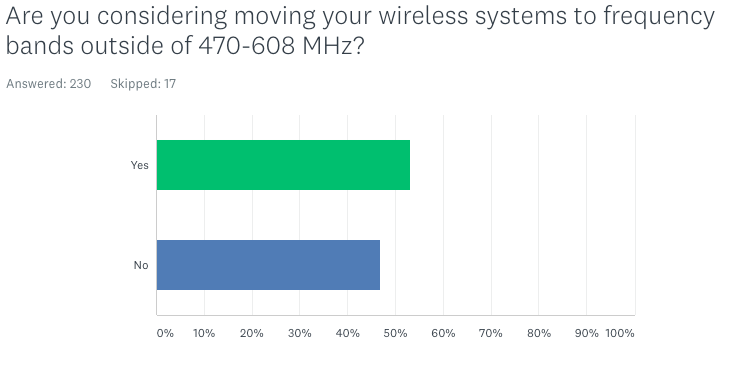 As expected the majority of wireless microphone users are heeding the warning of wireless system manufacturers, the FCC, and industry publications by getting rid of their 600 MHz gear either by rebate or some other means That said, a full 40% have alternative plans or will wait it out to see when they are impacted by new occupants of the 600 MHz band. Interesting split between users who plan on sticking around the current UHF band and those seeking alternative spectrum for their wireless system. There are a wide range of alternative bands out there, including VHF, 2.4 GHz, DECT, 900 MHz etc but they all come with tradeoffs. UHF is still beachfront real estate RF-wise, even if more devices are competing for less spectrum. Luckily some of the new digital wireless systems are much more efficient than analog FM systems, and employing spectrum efficient antenna and filter techniques can go a long way to minimizing the footprint and reducing noise in any wireless setup. 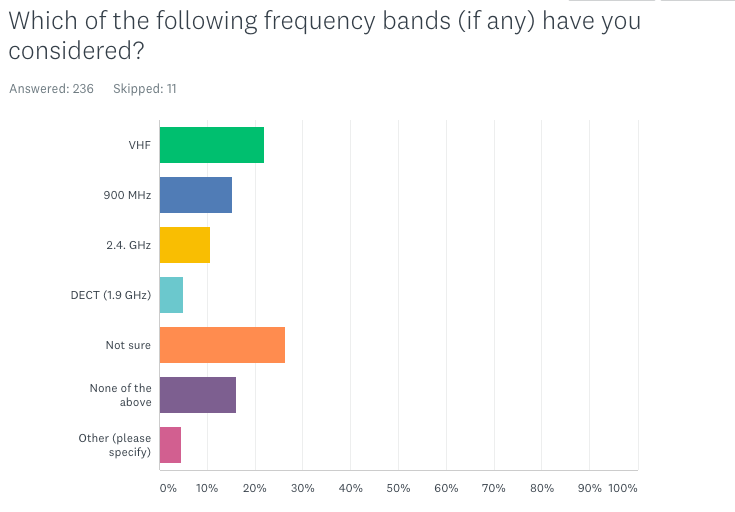 The majority of respondents aren't sure what alternative frequency bands to consider or aren't considering any, which is interesting. No surprise that VHF is one of the likely candidates since Shure and other wireless system manufacturers are now shipping equipment in those bands. If you're interested in learning more about VHF we have an achived post that goes into considerable detail on the pros and cons of VHF. Among the qualitative "Other" responses were some err... "less than supportive" commentary on the FCC and exasperated users giving up and going wired. What are your plans? Feel free to leave a comment below!